Wang, Y., Xu, Y., Sun, Y., Wang, H., Qi, J., Wan, B., Ye, W., Lin, Y., Shao, Y., Dong, S., Tyler, B. M. and Wang, Y. (2018). Leucine-rich repeat receptor-like gene screen reveals that Nicotiana RXEG1 regulates glycoside hydrolase 12 MAMP detection. Nature Communications 9(1): 594. Wang, Y. and Wang, Y. (2018). Trick or Treat: Microbial Pathogens Evolved Apoplastic Effectors Modulating Plant Susceptibility to Infection. Mol Plant Microbe Interact 31(1): 6-12. Wang, Y. and Wang, Y. (2018). Phytophthora sojae effectors orchestrate warfare with host immunity. Curr Opin Microbiol 46: 7-13. Wang, Y. and Bouwmeester, K. (2017). L-type lectin receptor kinases: New forces in plant immunity. PLoS Pathog 13(8): e1006433. Wang, Y., Nsibo, D. L., Juhar, H. M., Govers, F. and Bouwmeester, K. (2016). Ectopic expression of Arabidopsis L-type lectin receptor kinase genes LecRK-I.9 and LecRK-IX.1 in Nicotiana benthamiana confers Phytophthora resistance. Plant Cell Rep 35(4): 845-855. Wang, Y., Weide, R., Govers, F. and Bouwmeester, K. (2015). L-type lectin receptor kinases in Nicotiana benthamiana and tomato and their role in Phytophthora resistance. J Exp Bot 66(21): 6731-6743. Wang, Y., Cordewener, J. H., America, A. H., Shan, W., Bouwmeester, K. and Govers, F. (2015). Arabidopsis Lectin Receptor Kinases LecRK-IX.1 and LecRK-IX.2 Are Functional Analogs in Regulating Phytophthora Resistance and Plant Cell Death. Mol Plant Microbe Interact 28(9): 1032-1048. Wang, Y., Bouwmeester, K., Beseh, P., Shan, W. and Govers, F. (2014). Phenotypic analyses of Arabidopsis T-DNA insertion lines and expression profiling reveal that multiple L-type lectin receptor kinases are involved in plant immunity. Mol Plant Microbe Interact 27(12): 1390-1402. Wang, Y., Bouwmeester, K., van de Mortel, J. E., Shan, W. and Govers, F. (2013). A novel Arabidopsis-oomycete pathosystem: differential interactions with Phytophthora capsici reveal a role for camalexin, indole glucosinolates and salicylic acid in defence. 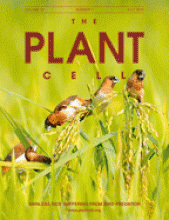 Plant Cell Environ 36(6): 1192-1203. Wang, Y., Meng, Y., Zhang, M., Tong, X., Wang, Q., Sun, Y., Quan, J., Govers, F. and Shan, W. (2011). Infection of Arabidopsis thaliana by Phytophthora parasitica and identification of variation in host specificity. Mol Plant Pathol 12(2): 187-201.